The nurse explained that a kidney could be obtained in just weeks or even sooner if extra money was donated to the hospital. She said that transplantation is growing in popularity among certain Middle Eastern countries and the process is overseen through each country’s consulate. The hospital also owns a hotel where family members can stay throughout relatives’ transplant surgeries. After traveling to Chongqing Hospital, the undercover team was shown plans of the “Primary brain stem injury impacting machine,” patented by former police chief Wang Lijun, that causes human brain stem death while keeping all retail organs alive and healthy. The TV team also interviewed two Korean doctors who have been sending patients to China for organs. One refused to speak to the production team while the other did not express any remorse for his actions. It is believed that many doctors and major hospitals in Korea cooperate with transplant tourism to China in the delivery of both pre and post transplant care. 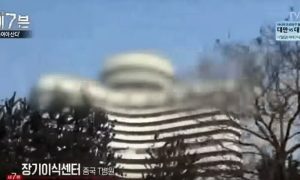 The Korean public was outraged by the documentary.